On World Water Day, Simonne Pace talks to Maltese hydrologist MARCO CREMONA about water scarcity in Malta, the country’s diminishing water table and the overuse and abuse of boreholes. Water is very scarce in Malta. We rank among the top five countries having the least amount of renewable water per capita, ahead even of desert countries like Libya. This is attributed to three factors: a small catchment area (the country’s surface area is only 316 square kilometres), low annual rainfall (approximately 550mm per year) and a very high population density (more than 1,400 people per square kilometre). “In the last 30 to 40 years, with the introduction of reverse osmosis technology – and therefore a reliable supply of tap water – we have been taking water for granted,” says hydrologist Marco Cremona. Despite its scarcity, water remains cheaper than electricity, so people tend to invest in energy-saving devices rather than water-saving systems, he explains. Is rainwater stored or used to replenish our water table? Cremona says a substantial proportion of rainwater is, unfortunately, lost to the sea. 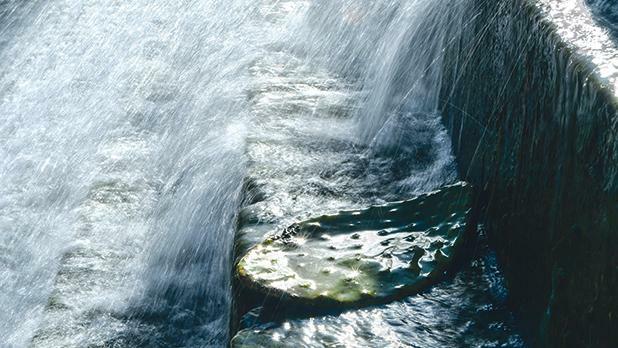 The number of houses having functioning rainwater cisterns is on the decline and most new constructions do not have a functioning rainwater harvesting system such as a well or reservoir, even though this is a legal requirement. What role does the water table play in our everyday life? The water table, or rather, the aquifer, is a geological formation that holds water. “The most important aquifers are the mean sea level aquifers of Malta and Gozo which lie at sea level,” Cremona explains. Rainwater that does not run into the sea and which falls on fields and garigue seeps into the rock and slowly makes its way downwards over a number of decades, until it reaches sea level. It then ‘floats’ on the heavier seawater in the pores of the rock. This water storage is massive – underneath the whole of Malta and Gozo – but it is still subject to contamination and overpumping. Cremona says Malta’s water table can be safeguarded by reducing or stopping the overpumping or controlling contamination from artificial fertilisers, pesticides, hydrocarbons from oil spills, toxic substances from scrapyards and leaks from the sewage network. Practically all commercial activity – ranging from farming, concrete batching plants, beverage companies, commercial laundries and car washes to people selling water by bowsers, houses having large private gardens and industrial garages – takes water from the water table. The Water Services Corporation also gets 40 per cent of its water from aquifers. Much has been said about this winter having been relatively wet. What would have happened to all the rainwater? Would it have gone to waste? Cremona says the fate of water depends on where it falls. Rainwater falling on roofs fills cisterns housed within the building. In the absence of a cistern, the water is either channelled into the roads, causing flooding, before eventually ending up in the sea; or it is channelled into the sewage system, which then causes surcharges of the sewer network, resulting in overflows through manholes and at pumping stations – with consequential sewage flowing down roads, into fields and into the sea. Rainwater that falls on soil serves to moisten the soil, with plants absorbing much of it. Excess water in fields recharges groundwater or runs off down watercourses in valleys, part of which ends up in the sea. Substantial investments were undertaken in rainwater collection and storage in the last 50 years, especially in the 1970s. But “most of this infrastructure has now fallen into abandon,” Cremona points out. “The number of registered boreholes runs into thousands, and there are probably thousands others that are not registered. All these private boreholes were drilled illegally and pump water for free, in the absence of controls,” says Cremona. “It is believed that groundwater extraction is around twice the sustainable limit of 25 million cubic metres per year. As a result, the greater part of aquifers in Malta are suffering from salinisation and thus cannot contribute water to the country’s potable supply. In some cases, the water is not even suitable for irrigation. Cremona says not all functioning private boreholes are registered. The last registration exercise took place in 2008, so any borehole drilled over the past 11 years, “and there have been many”, is definitely not registered. We rely mostly on reverse-osmosis plants for clean, potable water. Should this give us peace of mind that potable water will never be scarce locally? “Reverse osmosis was and is a godsend for Malta, as it allows us to produce potable water from the sea at a reasonable cost. However, an RO plant has many vulnerabilities,” Cremona explains. Apart from economic conside­rations, Cremona says one also has to give value to groundwater as a strategically important source of freshwater, which will be critical when RO plants are not in a position to deliver water. Moreover, groundwater is the main source of water for agriculture in Malta. “It is inconceivable that one irrigates with water derived from an RO plant, as the cost of water will be more than the value of the produce. The slow death of groundwater will be accompanied by the slow death of agriculture in Malta,” he adds. Is water in Malta being recycled enough? The Water Services Corporation has been supplying second-class water ‒ derived from sewage ‒ to farmers in the north of Malta, Cremona says.